After Nazis kill his fiancé, a young Norwegian struggles to overcome grief and loneliness and leads the most daring nighttime raid in U.S. Army history against them. 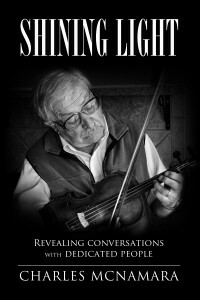 A collection of 22 revealing conversations, including black and white portraits, with people who share amazing stories about their lives. You will meet people such as John Shaffner – cowboy poet and chuck wagon cook, Will Morton – carousel conservator and Marjorie Lansing Porter – Adirondack ballads collector. 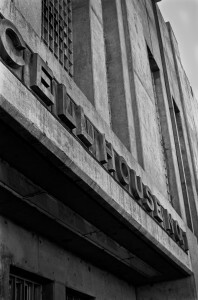 The Joint is inmate slang for prison. In December 1974 I was granted unlimited access to the Maximum and Medium Security Prisons at the Colorado State Penitentiary in Canon City to shoot this documentary. Second Novel by Charles McNamara. Soon to be published as Kindle Ebook. 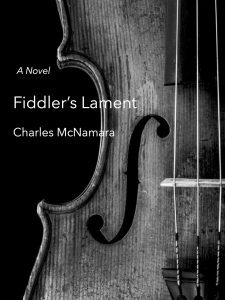 Ireland, 1860 – Fiddler’s Lament is the saga of a poor but gifted Irish fiddler who fights to hold onto every good thing in his life in the midst of the British Genocide. 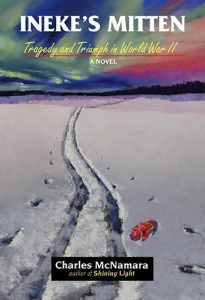 His parents are killed, his fiddle is taken away, his childhood sweetheart is exiled to Canada. He survives the dangerous voyage to Canada, death in combat during the American Civil War, and imprisonment. His goal is to be accepted as a respected citizen of his new country, a position he could have never achieved in Ireland. His refusal to give up, and the clever ways he and his sweetheart approach their new life defines what, for them, is sacred and what is nonsense.